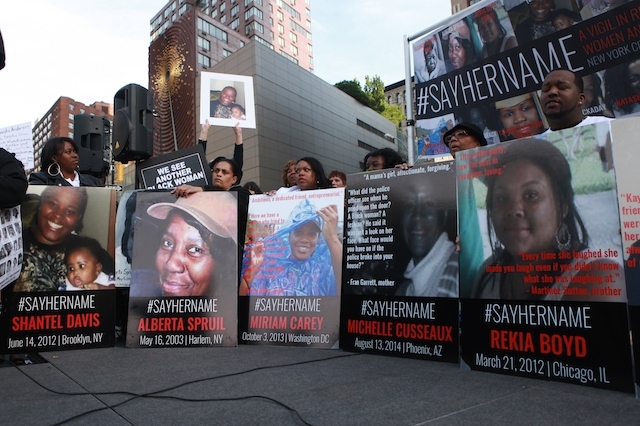 The #SayHerName Mothers Network was first officially convened by AAPF in November 2016, a year and a half after many of the mothers joined us in New York City to launch the Say Her Name Report and attend the first ever #SayHerName Vigil in Union Square. 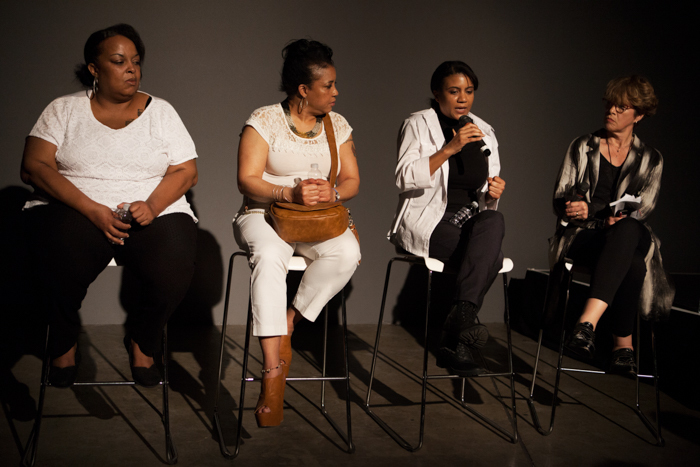 Since then, the #SayHerName Mothers Network has joined together on a number of occasions, marching at the Women’s March on Washington, lobbying for police reform on Capitol Hill, and joining together for several focus groups and planning sessions to strategize around the initiative and to assess the needs of new family members who’ve lost their daughters to police violence. 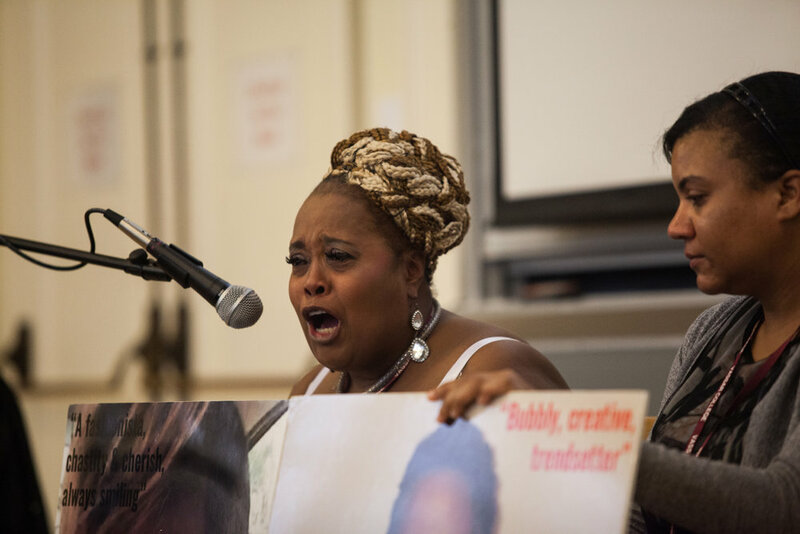 AAPF and the #SayHerName Mothers Network have also helped to organize vigils for women such as Charleena Lyles, a a Black woman and mother who was shot and killed by the police in her Seattle home in 2017, and Vicky Coles-McAdory, aunty-mama of India Beaty and one of the original members of the #SayHerName Family Network, who tragically died of a stroke in September 2017. 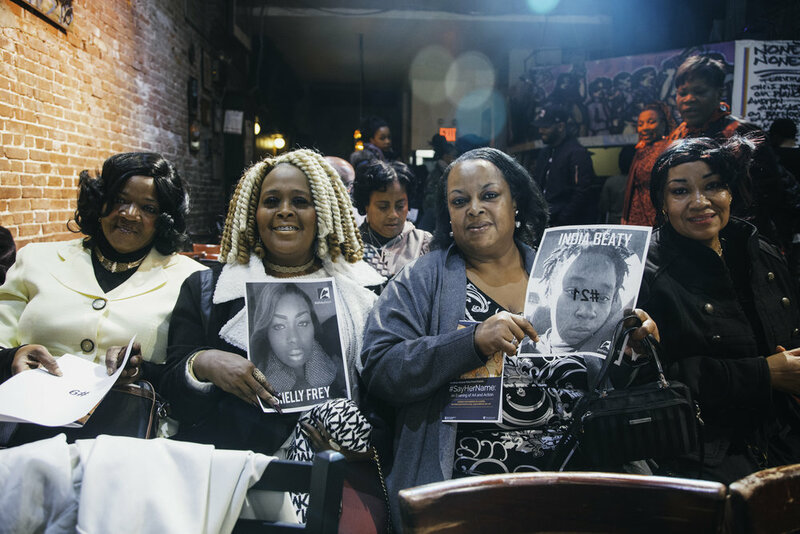 If you are the family member of a Black woman killed by the police and are interested in joining the Network, please email us at info@aapf.org. In honor of the nation-wide #SayHerName Week of Action (June 11-June 17, 2018), AAPF has joined BYP 100 and numerous racial justice and gender justice organizations in uplifting the stories of Black women, girls and femmes who have been victimized by state violence, and demanding justice for them and their families.